Wonder Junior Deluxe Hand Grain Mill by WonderMill Giveaway! I’d like to introduce you to the Wonder Junior Deluxe Hand Grain Mill by WonderMill. This incredible hand powered machine has so many awesome features but is most known for it’s ability to grind wheat into a coarse cereal down to a fine pastry flour to fit your baking/cooking needs! What sets the Wonder Junior Deluxe Hand Mill apart from the competition is it can grind much more than most of the hand & electric mills on the market! You can grind: all sorts of grains to make flour, roasted peanuts to make homemade peanut butter, beans & rice to make gluten free flours, spices, coffee beans, popcorn kernels to make corn meal and check out these other 70+ items it can grind for you! There are many advantages to having a hand grain mill in your home. The biggest reason for me, is the limitless healthy options I can provide for my family on a daily basis. No more high fructose corn syrup as the 2nd ingredient in my bread (like the store bought kind I used to buy). Another reason is money saving possibilities! Specialty flours (for people on gluten free diets-for example) are pricey, you can get a big ol’ bag of beans and grind your own flour for a fraction of the cost! In case of an emergency. You never know when a natural disaster is going to hit your area that may prevent your local stores from getting food (it wouldn’t take long for the shelves to be cleared). With a bag of wheat and this hand mill I don’t have to worry about having nothing to feed my children. It would be food in their little tummies! This mill is hand powered so it does require some effort, but it isn’t difficult. Even my tiny 6 year old was able to help grind the wheat for our bread! This Deluxe Junior Hand Grain Mill sells for $219.95. You can follow WonderMill on Facebook, Pinterest, and YouTube. WonderMill has offered to give one of you fabulous fans a Wonder Junior Deluxe Hand Grain Mill for FREE, delivered right to your door-valued at over $220! AWESOME, right? Rules are simple. You must have a shipping address in the USA or CAN, fill out the entry form below, and do it before times runs out on 7/11 at 11:59 pm EST. Super easy! You only have to do 1 entry to get your name into the drawing, but there are additional extra entries to increase how many times your name is thrown into the hat. Winner will be randomly selected, emailed and have 24 hours to reply or a new winner will be chosen. GOOD LUCK! Congrats to Debbie Harwood, our lucky random winner! Debbie you have been emailed and have 24 hours to reply or a new winner will be chosen! Thanks to all who entered! Disclosure: Cj at I love my kids blog reviewed the item mentioned above and the opinions above are her own. I thought you fans might enjoy a chance at winning it. Prize fulfillment will be done by WonderMill. I would love to grind some wheat so I can make some wholesome bread. Perfect addition to my food storage tools!! Would use it all the time!! Would likely grind up some wheat for bread and some seeds to add into it 🙂 thanks for the chance! I’d love to try grinding popcorn for cornbread! I will grind corn for tortillas first. So many options! I would love to ground my own coffee blend. Grinding corn for sp many things! This would be wonderful. Grinding corn for so many things! This would be wonderful. I would grind some grinds first. I would use it to grind almonds into almond flour that I use in my bread. If I am the winner I would grind wheat first with this awesome hand mill as my family loves home-made wheat bread. I think I will make some cornmeal. This is something I have wanted to try making. I would ground up almonds to make almond meal for bread. I have a bag of coffee waiting in the freezer! 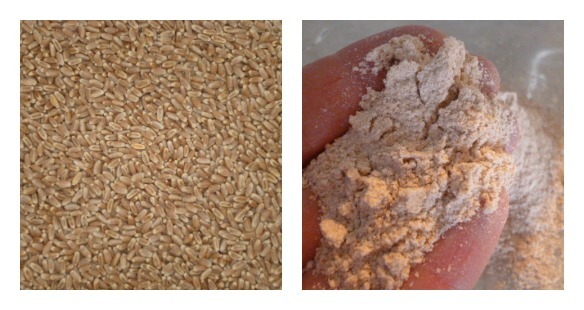 I would grind wheat berries to make whole wheat flower for baking bread. Wheat all the way baby! I would ground some coffee beans first! Wheat. I want to make bread. Bad. Wheat. I want to make bread. I would make a 7 grain bread. I love it, but it can be quite pricey. I’m going to try almonds first. I love this! I would love to make some almond butter! Then some fresh (hand ground) bread! Oh the possibilities!! Things like almonds and grains for bread since I just bought a Cuisinart bread maker. My husband will probably grind wheat for homemade bread! Yum! kristiedonelson(at)gmail(dot)com Thank you. I would love to try this!I would love to make something with coconut in it! I would love to try and make home made bread! Maybe even add coconut! Grains to make my own bread. I would probably grind Grains to make my own bread. I would like to make my own bread. Thanks for the opportunity. I’d grind corn! This is a awesome giveaway! I would grind corn! This is a awesome giveaway!